Mombasa located on the coast of Kenya is the largest coastal port in the whole of East Africa. An important trading city dating back to the 12th century, Mombasa is located on an island which is linked to the Kenyan mainland by several bridges. Mombasa is now a popular package holiday destination with visitors attracted by the warm tropical climate and a great selection of hotels and resorts. Mombasa’s best beaches can be found in the south and include Diani beach with its sparkling white sands and offshore reef which is perfect for snorkelling and the quieter Galu Beach which is close to a lush tropical forest. There’s a good choice of airlines that fly to Mombasa including charter airline Thomson Flights who operate direct flights from the UK. Scheduled carriers such as Kenya Airways and Swiss also fly regular services with a plane change en route. 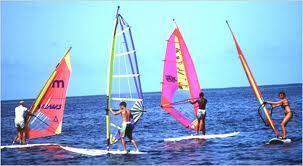 Mombasa’s most popular tourist attraction is Fort Jesus which is located by the entrance to the harbour. Built by the Portuguese in the 16th century, its coral walls are over a metre thick and boast interesting battlements and several ruined buildings. The Fort has a violent history and changed hands as many as nine times during many battles spanning over 250 years until the British won control. The Fort is home to a museum with exhibits including a ceramic collection, an Omani house complete with exhibits of jewellery, a church, well and excavated grave. Mombasa’s Old Town is well worth exploring with its labyrinth of streets, ornately carved houses and traditional markets. Similar to much of the East African coast, the Old Town has strong Arab influences and an interesting heritage. Directflights.com can help you find superb offers on cheap flights to Mombasa, Kenya, just click the links below or use our flight search box. We advise you to book in advance to obtain the best prices on the cheapest flights available but we can also find you superb offers on lastminute flights. 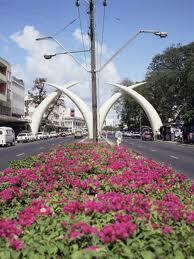 Mombasa has a warm, tropical climate. The amount of rainfall depends essentially on season. The rainiest months are April and May, while in January to February the rainfall is minimal.